When exploring a dataset, you’ll often want to get a quick understanding of the distribution of certain numerical variables within it. 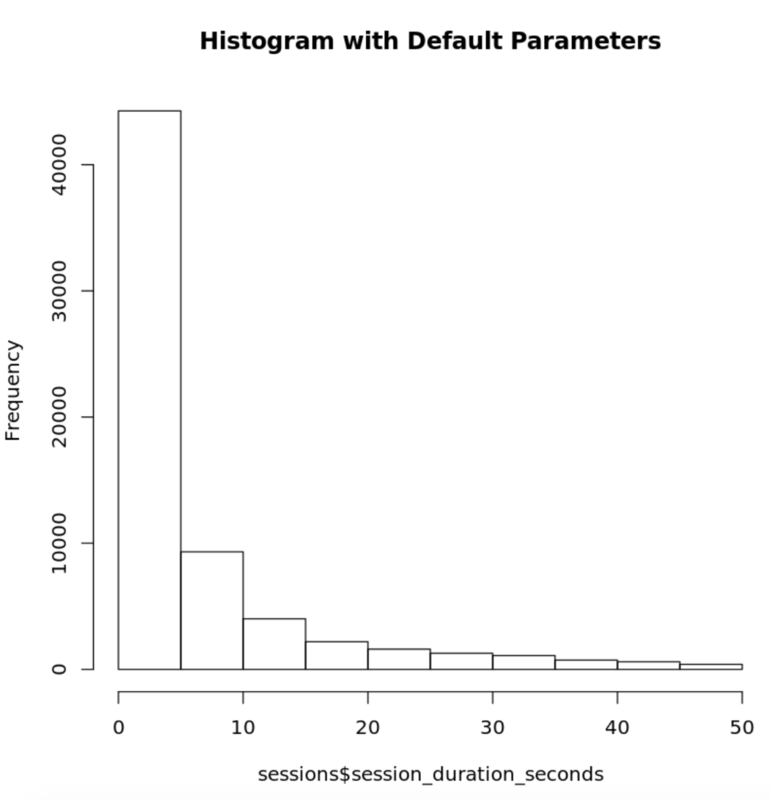 A common way of visualizing the distribution of a single numerical variable is by using a histogram. 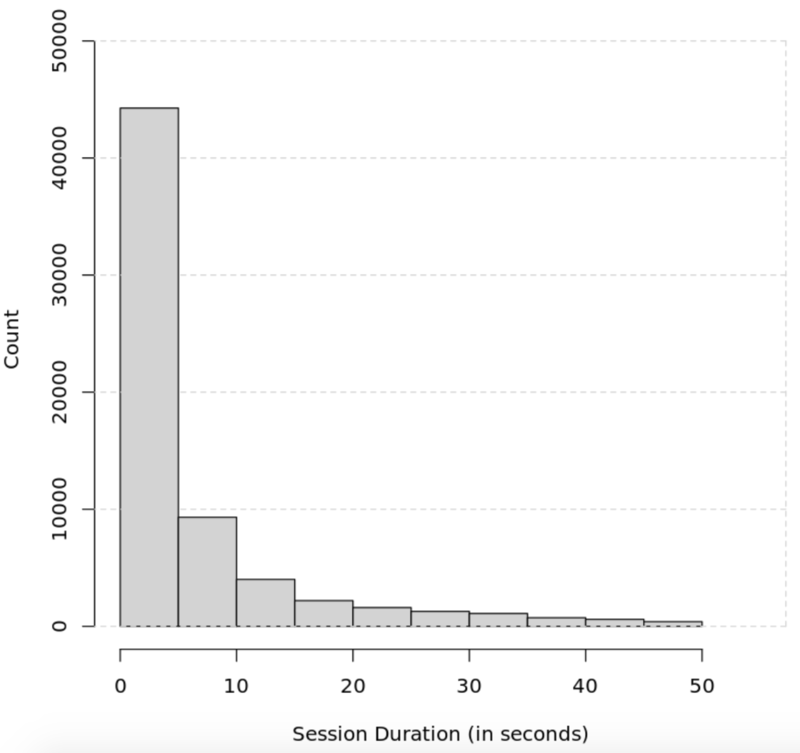 A histogram divides the values within a numerical variable into “bins”, and counts the number of observations that fall into each bin. By visualizing these binned counts in a columnar fashion, we can obtain a very immediate and intuitive sense of the distribution of values within a variable. 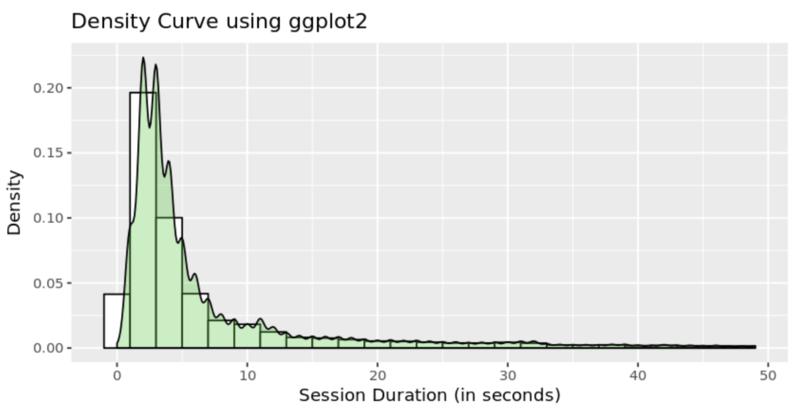 This recipe will show you how to go about creating a histogram using R. Specifically, you’ll be using R’s hist() function and ggplot2. Once the SQL query has completed running, rename your SQL query to Sessions so that you can easily identify it within the R notebook.